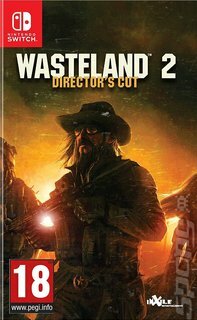 Wasteland 2 is a western RPG of the old-school variety, and is fiercely proud of that fact. It's modeled after its 1988 predecessor, widely accepted as the forefather to Interplay's original Fallout series. It's been put together by several members of the original game's team, so it certainly has pedigree. The game puts you in control of the newest member of the Desert Rangers, a peace-keeping team doing its best to keep the ravaged wastes of a post-nuclear war Arizona. The game is played from an isometric viewpoint and will feel comfortable for fans of the likes of Diablo. As you might expect, it has players trooping about completing tasks ranging from delivering post to destroying entire gangs of bandits. How you complete those tasks is entirely up to you, though. It might mean a quietly-quietly, stealth approach, or it might mean a murderous rampage comprised of blowing mutants into gooey bits. This Director's Cut comes with a host of tweaks and improvements, including a new perks and traits system, honed combat, sound and voice-over improvements and a new precision strike system that's similar to an aimed shot system that has players selecting body parts to target with various gameplay consequences. The Director's Cut is the game's first outing on console, so it's a prime opportunity for old school RPG fans to get a taste of the bad old days.